Please welcome Brian and Eric of Wise Guys! Today they share with us how they are meeting informational text standards in their classrooms. Thanks guys! Informational text has become a major focus under the Common Core Standards. As classroom teachers, it is our goal to help our students become proficient in reading and writing informational text. Below are our top five ways we accomplish this in our classrooms. If your class has a subscription to TIME for Kids®, Scholastic News®, National Geographic Kids®, or any other non-fiction magazine, then you have great and relevant informational text at your fingertips. Many of these magazines even come with a teaching guide that now includes the Common Core Standards! The students are intrinsically motivated, as well, since the magazines’ topics are relevant and in the news at the time. If you want some fun activities to use with the magazines, then click here. If you are teaching the skills of informational text but want your students to have a book of interest to them at their reading level, then making a special trip to the school library, with the librarian’s help, is a great place to start. Before going, have your students write down non-fiction topics that they would like to know more about. When arriving at the library, assist them with finding at least one informational text book to read. 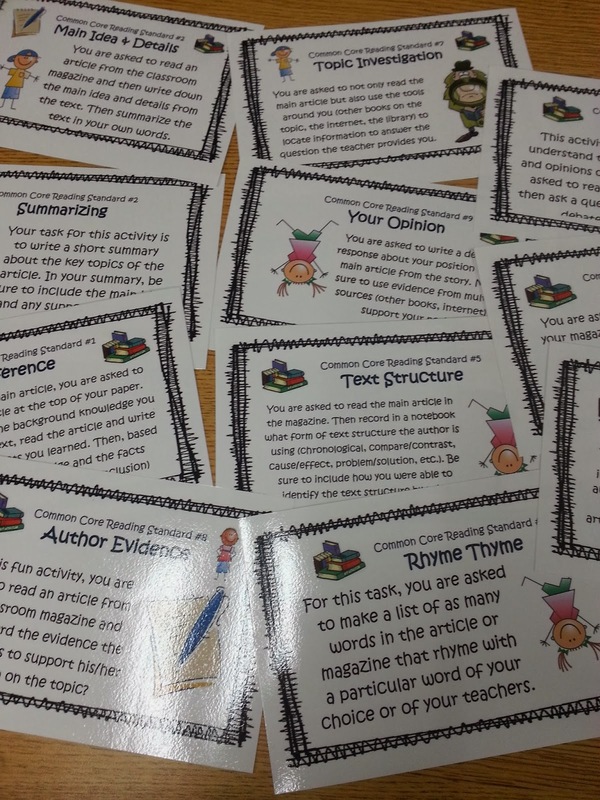 Then, once you are back in your classroom and teaching informational text standards to your students, you can have them use their own chosen books during instruction. Another great way for students to access informational text is through the internet. With careful guidance of self-selected websites, such as Kids Search, Searchasaurus, PebbleGo, and Encyclopedia Britannica, searching can be safe and fun for kids. 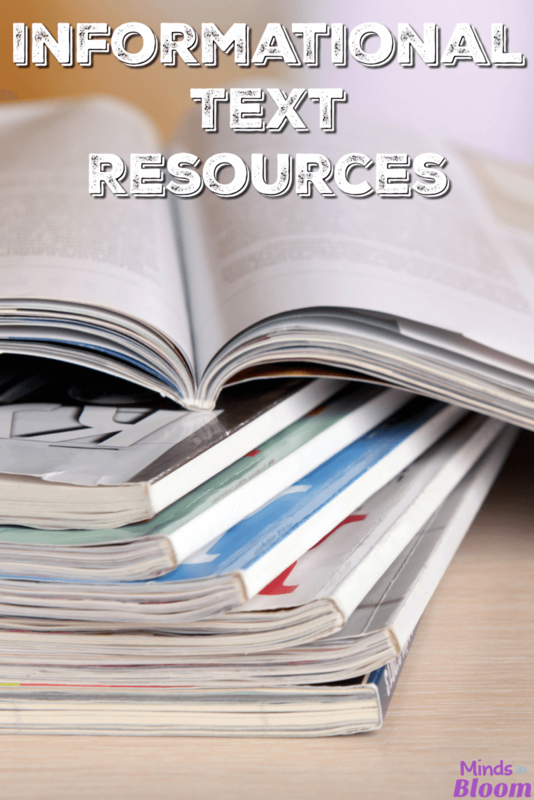 These websites provide a great variety of informational text for students to read and respond to. 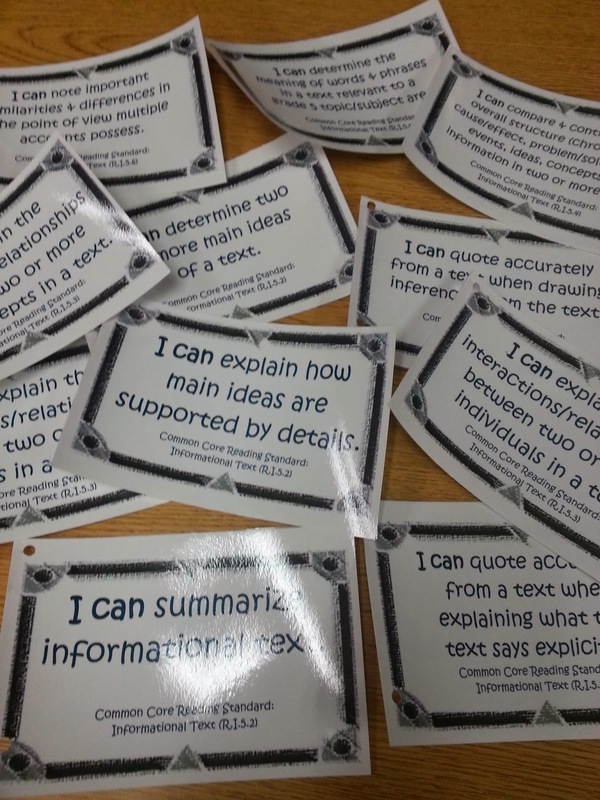 When we teach the Common Core Standards for informational text, we have “I can” statements posted so the students know the objective for the lesson. We also have them write the statements down into their notebooks, along with any notes associated about the topic. This becomes a great reference tool for students when we review and have assessments for informational text standards. One of the best things we did this year was create informational text task cards that we can place throughout the classroom. 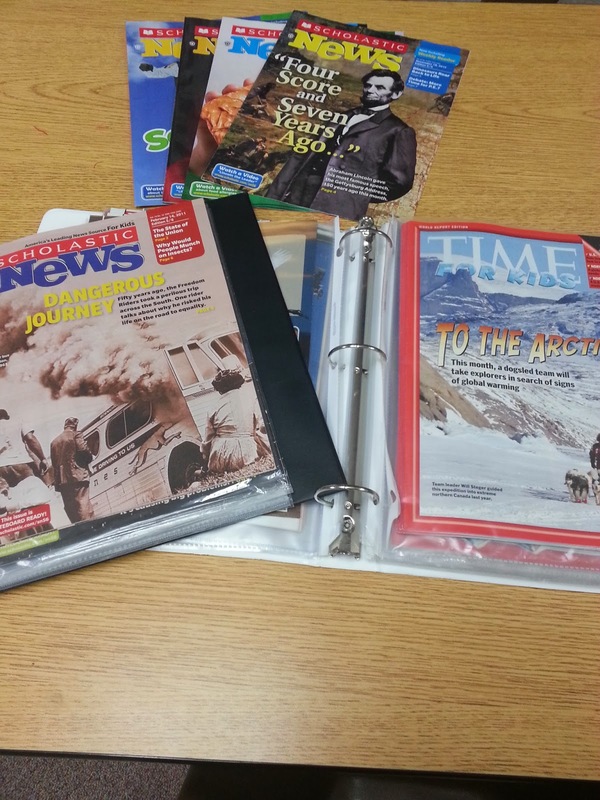 We use our classroom magazine subscriptions for the informational text, and students are responsible to finish at least two task cards per week. It is a great way to informally check students’ progress on the skills. It is our hope that you can use at least one idea from above in your classroom. Informational text does not have to be painful for your students! 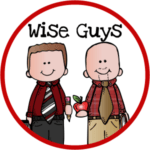 Brian and Eric from Wise Guys have, combined, over 30 years’ teaching experience in the intermediate and middle school levels. They pride their teaching style on creating resources that are creative, meaningful, and aligned to the Common Core State Standards. Their belief is that all students can learn provided the proper motivation and instruction. Their passion is teaching, and it shows. You can find the Wise Guys store on TpT here.